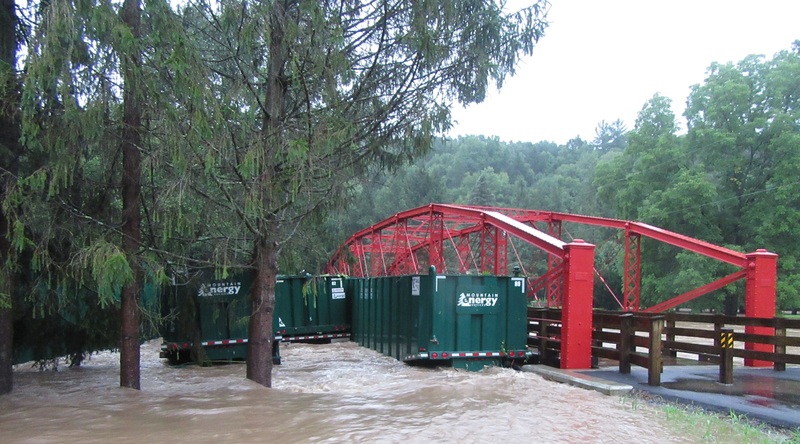 More than a dozen empty water tanks from Mountain Energy in Tunkhannock Township were dislodged from a parking area by the overflowing Tunkhannock Creek Tuesday morning, allowing them to float into the overflow of Lazybrook Park and pile up against a restored historic bridge that was installed at the park just this spring to much acclaim. 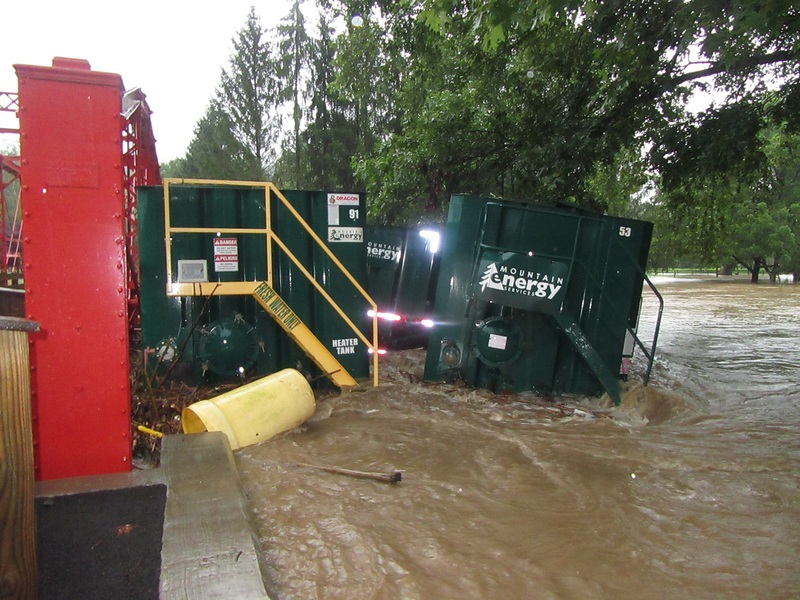 Tunkhannock Creek was holding steady at about 15.5 feet as the tanks bobbed up and down. 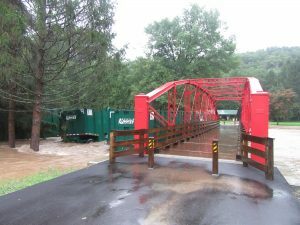 The bridge appeared to be bowing at the center and minor damage to the structure was observed after the waters receded. The park, a popular location for music festivals, weddings and class reunions, was mostly underwater and generally inaccessible. As stream levels dropped, heavy equipment was brought in to pull the tanks from the channel and move them to higher ground. Had the bridge not stopped the water tanks, or had the bridge been pushed off its foundation, the tanks would likely have continued floating downstream toward the bridge over Route 6 near Shadowbrook Resort.